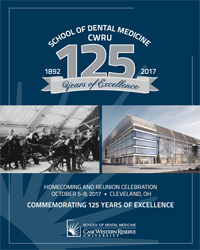 Relive the 125th Anniversary of the School of Dental Medicine! A message from Dean Kenneth B. Chance. See how one honor exemplifies the spirit of the school. Four decades after he graduated, Oreste “Russ” Zanni still felt a special tie to Case Western Reserve’s School of Dental Medicine. For one thing, the place provided him a powerful foundation for a flourishing career that spanned treatment, research, and teaching. For another, it remained home to special colleagues and friends, including Nabil Bissada, a fellow alumnus who now leads the school’s periodontics department. “We shared a common love of our specialty,” Bissada said. “Russ was very excited about periodontal research focused on the link between gum disease and other medical conditions.” For example, Bissada’s research has identified links between gum disease and oral cancer, diabetes, prostate issues and even failures of implants for the hip and knee. Zanni’s commitment will support the periodontics department. In recognition of his generosity, the periodontal clinic at the Health Education Campus will bear his name. Read more about Oreste Zanni. CWRU and Cleveland Clinic are expanding their health education collaboration to include dental and nursing students on the planned medical education campus. Located on East 93rd Street between Euclid and Chester Avenues, the 485,000-square-foot quadrangle building will include cutting-edge technology and innovative learning spaces. The space is expressly designed to encourage interaction among all students, not only in classrooms, but also in dining and study areas. Future students will graduate with a deeper understanding of how caregivers complement one another's work and an appreciation for the unique roles of each profession in enhancing outcomes for patients. The four-story building's academic spaces and offices will wrap around a soaring, airy atrium where students, faculty, and staff will gather for meals and conversation. All furniture will be movable, so the atrium will also be able to host large events, including lectures, convocations, and banquets. 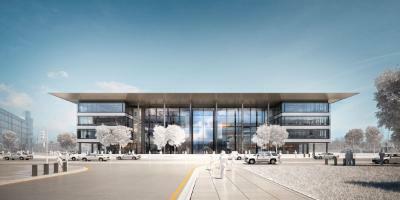 The structure will meet LEED Silver environmental building standards, at minimum. Read more about the Health Education Campus. Chance earned his undergraduate degree at Fordham University. After earning his DDS at Case Western Reserve, he completed a general practice residency at Jamaica Hospital in Jamaica, N.Y., followed by an endodontic postgraduate residency at the University of Medicine and Dentistry in New Jersey (UMDNJ, now part of Rutgers University). 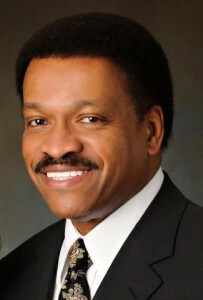 In 1997, Chance became dean of the School of Dentistry at Meharry Medical College in Nashville, TN. From there, Chance went to the University of Kentucky, where he won awards for teaching and also advised the school’s chapter of the Student National Dental Association. He has been active in faculty development and interprofessional education initiatives at Kentucky after earlier leading extensive efforts at UMDNJ to engage minority students in the pursuit of dentistry. 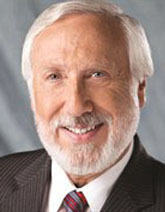 Chance has received multiple honors from Case Western Reserve’s dental school, including the Paul P. Sherwood Award for Excellence in Endodontics in 1979, Distinguished Alumnus of the Year in 2004, Appreciation and Recognition of Commitment in 2011, and Discovering the Future of Dental Medicine Award in 2012. Read more about our Dean. 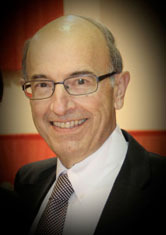 Read more about Dean Goldberg.